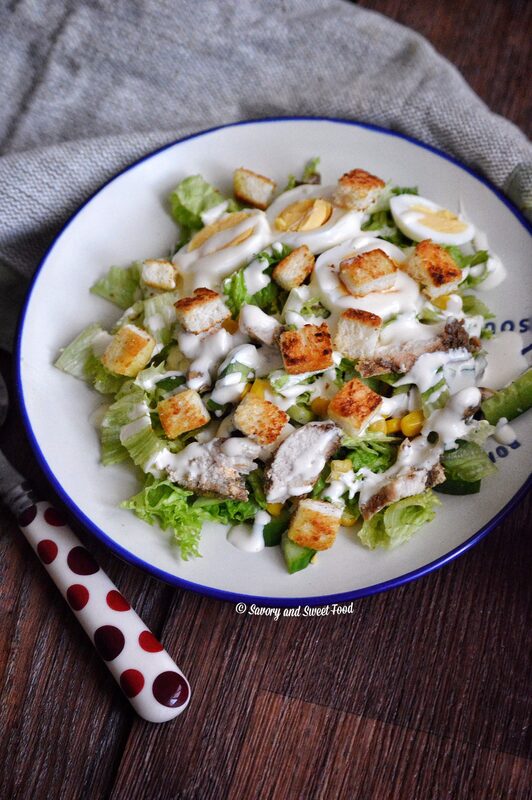 A classic caesar salad with a homemade Caesar dressing, flavorful grilled chicken and croutons makes this a satisfying meal to have at any time of the day. For this salad you have to do a little bit of preparation. 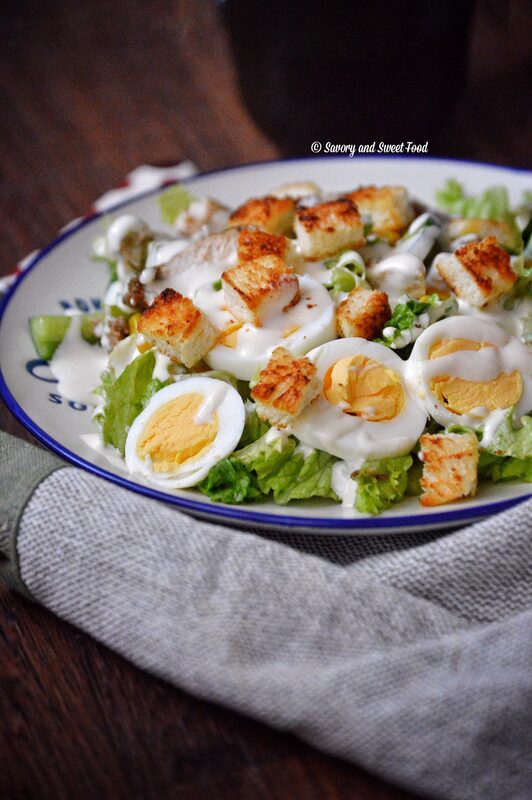 Like….make the croutons, cook the chicken and the eggs and make the dressing. Not much work, just a little. But this salad is so delicious that every second you spend making this will be absolutely worth it, trust me. If you don’t like the taste of parmesan cheese or if it is unavailable in your place, omit it. Marinate the chicken with the above mentioned ingredients and shallow fry or grill it. Cut the chicken in strips. 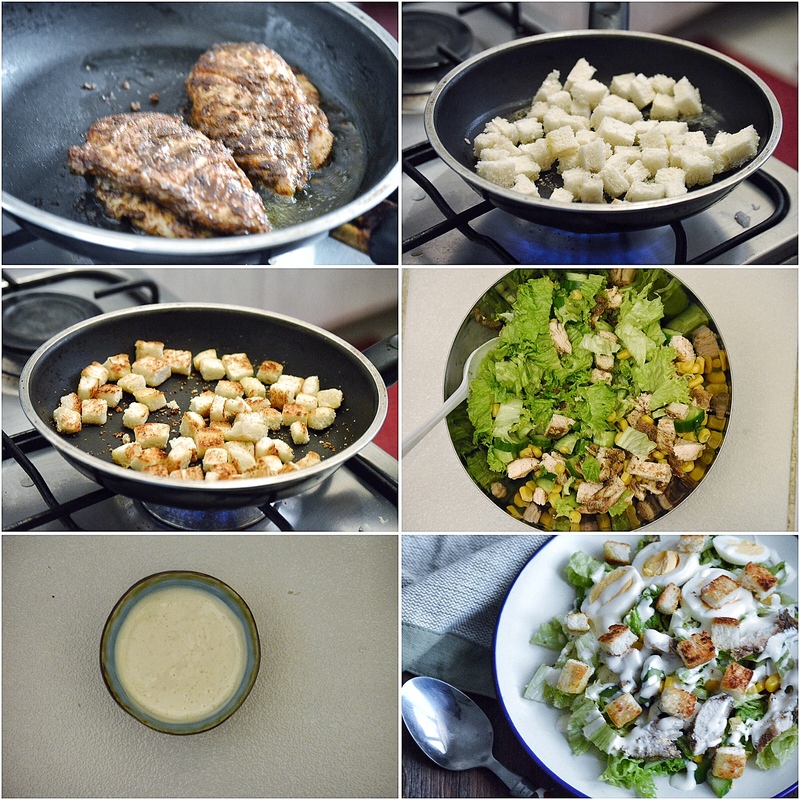 In a food processor combine all the ingredients for the dressing and whizz till smooth. In a pan melt the butter and add in the diced bread pieces. Stir around on low heat for 3-4 minutes till it tuned golden brown and crispy. You can bake these too by placing the bread pieces on a tray sprayed with oil spray. 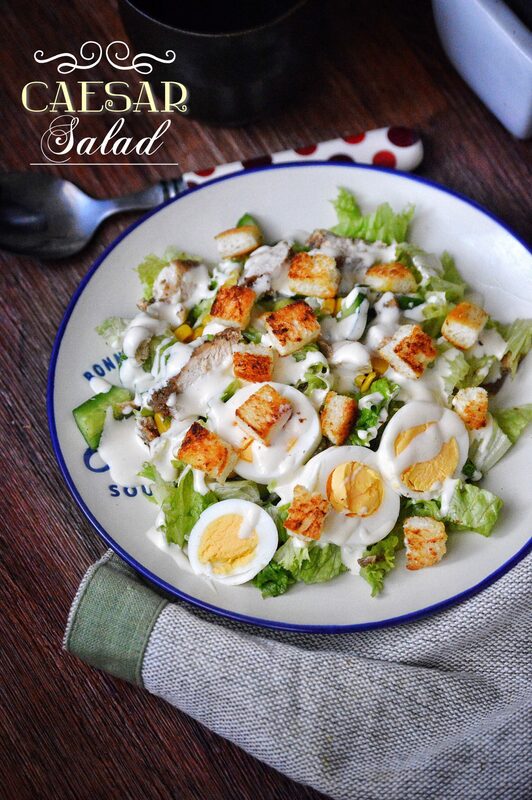 Arrange all the ingredients for the salad in a bowl. 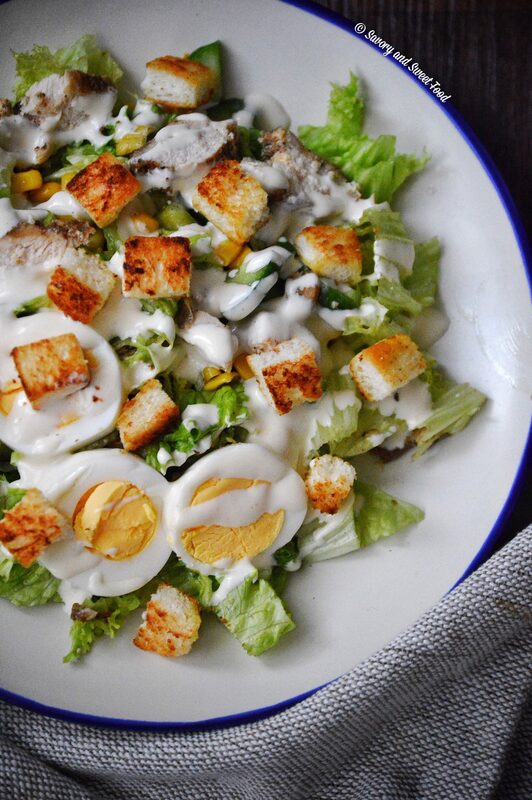 Drizzle the dressing all over. Add the croutons. Add grated parmesan cheese. Serve. Is there a substitute for mustard sauce?which brand of buttermilk fo you use? Sorry I can’t think of any substitute for mustard sauce. You can omit it. I used al marai fresh laban for this.